Did you know that there are currently over 100,000 children in the child welfare system waiting to be adopted? Are you interested in adopting a child through the public child welfare system? LSS/NCA is here to help! Family presentations at match meetings- Once you submit your home study to be considered for a child, a team of professionals working with the child will usually conduct a match meeting to screen all potential adoptive families and make the best match for the child. LSS/NCA will participate in these match meetings on your behalf and present your family for consideration. Communication with social workers- When adopting through the public child welfare system, each child has an assigned social worker that handles his or her case. Many of these social workers will not speak with potential adoptive parents directly and request to speak with the family’s social worker instead. LSS/NCA represents you and your interests. We will speak to social workers on your behalf regarding the child. Supervision during pre-placement visits- Once you have successfully been identified as a match for the placement of a child, pre-placement visits with the child will occur. LSS/NCA will provide supervision of these visits if required. Case coordination- LSS/NCA will guide you through all aspects of your adoption from start to finish. Case coordination involves communication with other service providers (i.e social workers, therapists, lawyers etc), management of visits, coordination of placement, and eevery other step along the way. 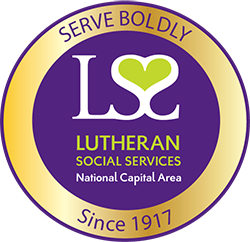 Training- LSS/NCA provides pre-service training and ongoing training specifically related to issues regarding children in the child welfare system. Fill out our adoption inquiry form to learn more about our case management services and how LSS/NCA can help you through the child welfare adoption process.